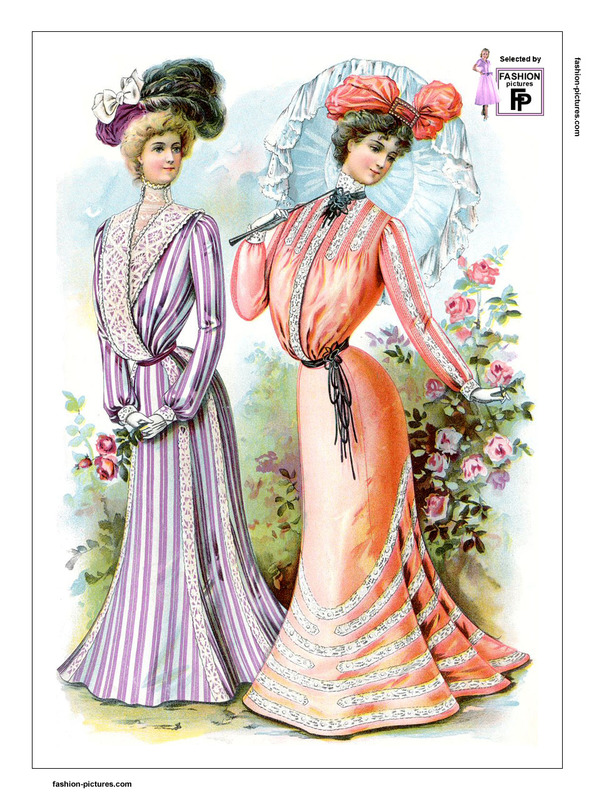 The “S” line inherited from the end of the 19th century is still fashionable in the early 1900’s. 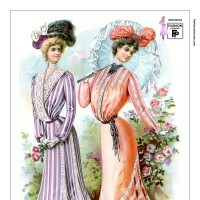 This figure consists in a full low bosom, a tiny waist and a prominent backside. 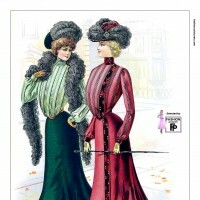 It can be obtained by wearing tight boned corsets and petticoats. 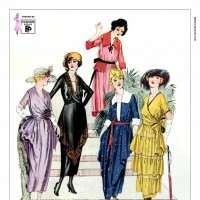 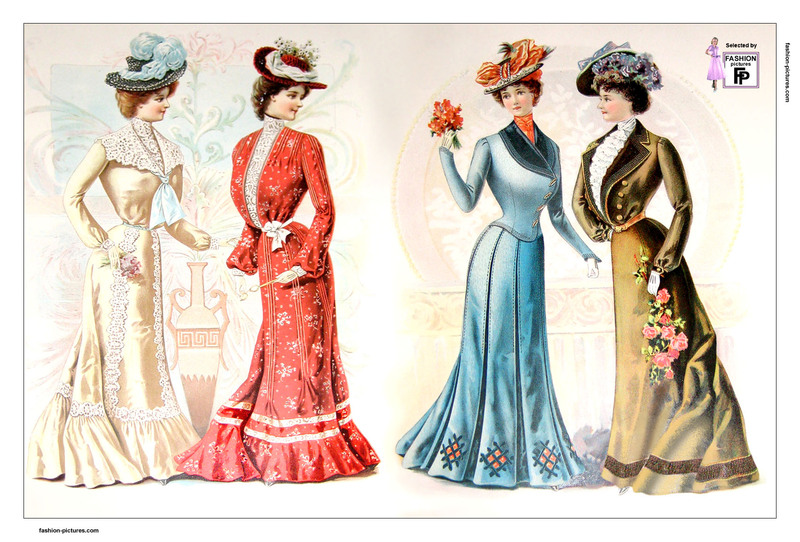 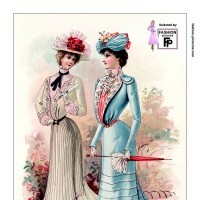 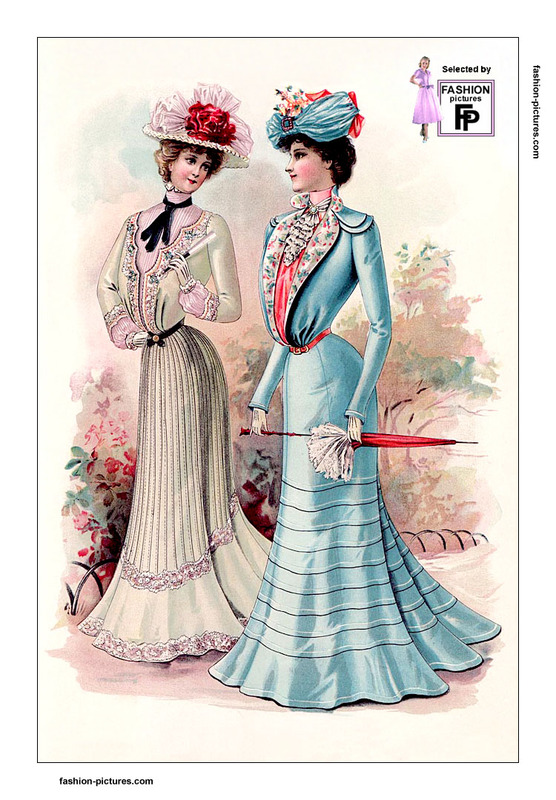 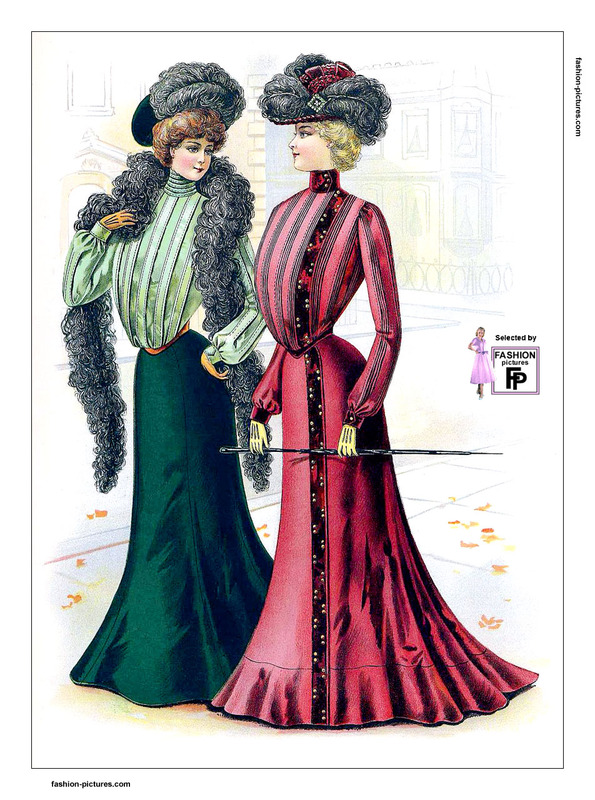 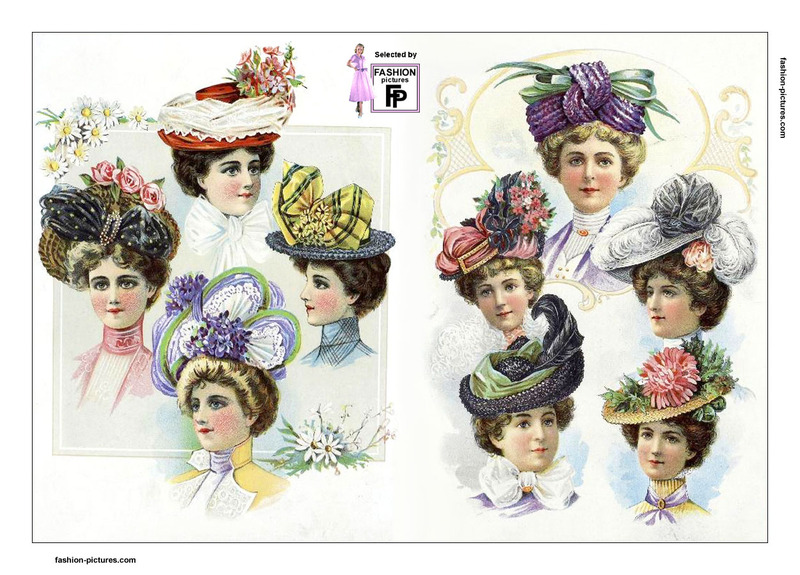 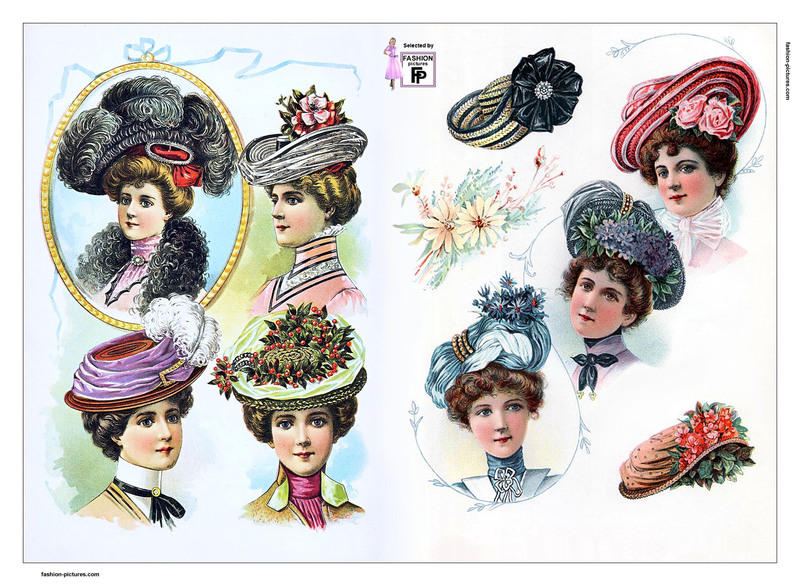 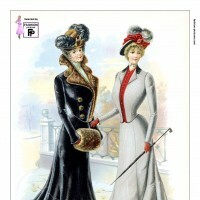 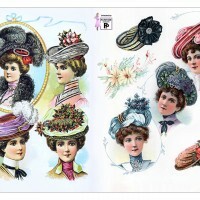 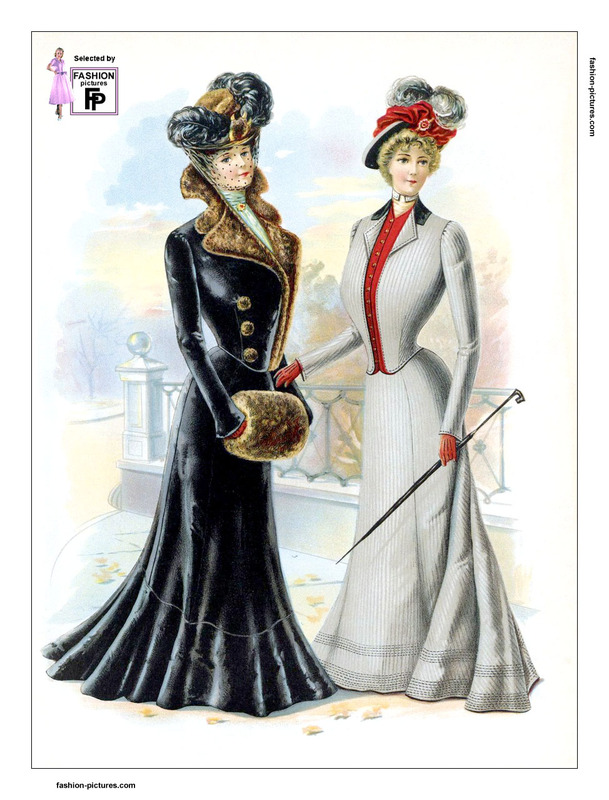 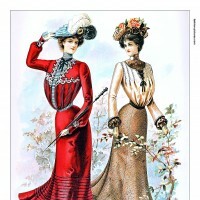 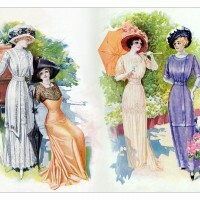 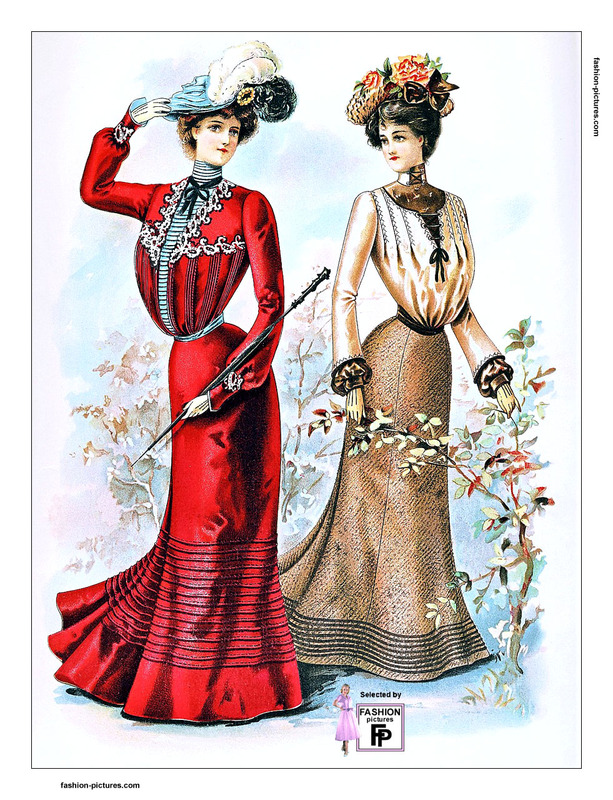 In 1901, hats are an important part of women’s clothing. 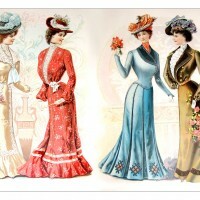 They are large and sophisticated, with different kinds of garments such as feathers, birds or flowers. 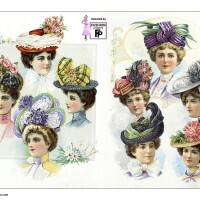 Sometimes it looked like the ladies had a small garden on their heads.